Down You’re Rocking the Boat”, “Luck be a Lady” and “I’ll Know.” Get in on the action! Tickets are $10 for adults / $8 for students/senior citizens. 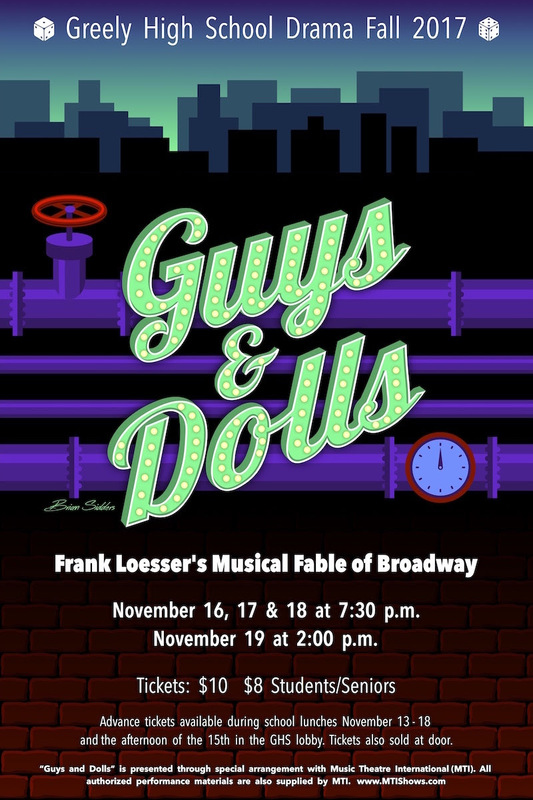 Tickets can be purchased at GHS during show week and at the door prior to each show. For more information go to: www.greelydramaboosters.org. held at the door for restaurant patrons.